Rotonda is a deed-restricted community in southwest Florida located on Cape Haze. It is west of Charlotte Harbor and east of Lemon Bay close to Englewood Beach and Boca Grande. Rotonda real estate features different neighborhoods that are built around and adjacent to several golf courses. Many homes offer views of golf courses, greenbelts or freshwater canals. Call us at 941-235-7474 or email us at sales@suncoasteam.com for prompt, professional assistance with your home search. Rotonda is a dynamic community, offering something for everyone. Quiet beaches, outdoor recreation and cultural events make Rotonda real estate an ideal choice for retirement or a leisure lifestyle. Rotonda consists of neighborhoods inside and outside “the circle.” Rotonda, Florida, real estate inside the circle, built around the golf courses, includes the neighborhoods of Oakland Hills, Pebble Beach, Pinehurst, Broadmoor, Long Meadow, White Marsh and Pine Valley. Outside “the circle” are Rotonda Heights to the northwest, Rotonda Lakes to the northeast, Rotonda Sands to the south, Rotonda Shores to the southwest and to the southeast, Rotonda Villas and Meadows. Rotonda is a great location for the golf lover. The community is built around six golf courses with many more only a short drive away. When you purchase Rotonda, Florida, real estate, you can play a different course every day of the week and not drive more than ten minutes from home. In less than one half hour drive you can play a different course every day of the month! Beach lovers will enjoy easy access to several great beaches. Englewood Beach is within 15 minutes of community on Manasota Key. 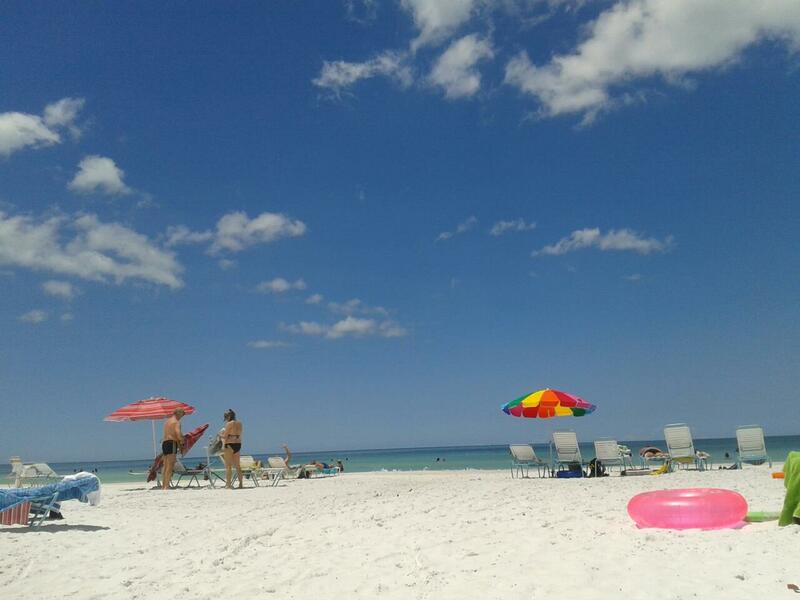 A few miles north on the key in Sarasota County is Blind Pass Beach. Boca Grande is a quick ride across the Gasparilla Causeway and Venice Beach is a short drive to the north. Enjoy the sunsets on these uncrowded beaches, stroll along the sands to find beautiful shells or just relax in the warm sun! Close to Charlotte Harbor and Lemon Bay, residents can enjoy the waters of Southwest Florida and the Gulf of Mexico. Mangrove lined islands, tidal creeks and the Peace and Myakka Rivers offer a variety of choices for the avid fisherman. Boaters can find a relaxing cove to anchor or pull up to a secluded beach. Sailors will enjoy organized racing in the protected harbors or cruising the bays and gulf coast. There are many choices for dining in the area. Enjoy waterfront dining on Englewood Beach or Boca Grande. Englewood village has a number of fine choices dining and entertainment as well as Port Charlotte, Punta Gorda and Venice, all an easy drive. In Punta Gorda, shoppers can stroll Fisherman’s Village, a waterfront complex of shops, boutiques and restaurants. At night, Harpoon Harry’s pulses with music and the sway of dancers. Town Center Mall in Port Charlotte is one of the largest on Florida’s southwest coast and houses all the major retailers. Venice Island offers an outstanding selection shops and restaurants along its beautiful main street. In the evening there is music of all kinds. Rotonda West, FL real estate caters to a large golfing community on Florida’s southwest coast, halfway between Fort Myers and Sarasota. There’s an amazing collection of golf courses in Rotonda West, and all are easily accessible from the properties in and around these communities. Built on Cape Haze, Rotonda West, FL is near the village of Englewood, between the Myakka River, Charlotte Harbor and Lemon Bay with easy access to the gulf islands and the Gulf of Mexico. That’s why in addition to golf, many of the best and most popular things to do in Rotonda, Florida include boating activities, fishing, beaches and water sports. Before diving into all the rest of the fun things to do in Rotonda West, Florida, first learn a little bit more about the community itself. Rotonda West, FL, real estate is divided into several sections. Inside the circle, starting at 8 o’clock is Oakland Hills, then Pebble Beach, Pinehurst, Broadmoor, Long Meadow, White Marsh and Pine Valley neighborhoods. The Rotonda golf courses and neighborhoods are very much built together with courses weaving through. Outside the circle are Rotonda Heights and Rotonda Lakes to the northwest and northeast respectively. To the southeast are Rotonda Meadows and Rotonda Villas. South of the circle lies Rotonda Sands and to the southwest of the circle is Rotonda Shores. These neighborhoods all have unique characteristics. Take a look at the individual pages we have for each community and neighborhood to learn more about Rotonda real estate.